My first job in the healthcare industry was in Oncology. I worked for a very progressive Radiation Oncologist who specialized in prostate cancer. He treated other cancers but his primary focus was on prostate cancer with 90% of his patients having that diagnosis. When a patient is receiving radiation treatments, they typically have treatment every day for a specific amount of time (2 weeks, 4 weeks, 6 weeks) and some times running concurrently with chemotherapy. During my tenure, I got to know not only the patients who are battling cancer but their families. It was so heartwarming watching the unofficial support groups in the waiting room and the friendships blossom. It was also heartbreaking when a long time fighter loses their battle. We became so close with our patients and their families that our hearts broke right along with theirs. It's so important to remind the men in our lives to get screened for prostate cancer! With that being said- I am sharing with you a great way to win $2,000. 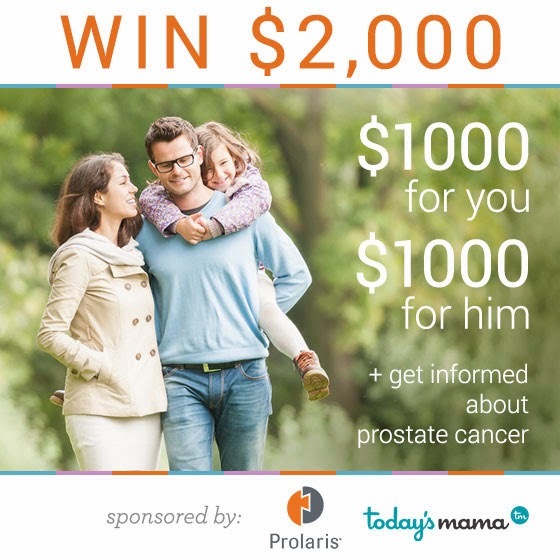 $1,000 for you, $1,000 for the man in your life. 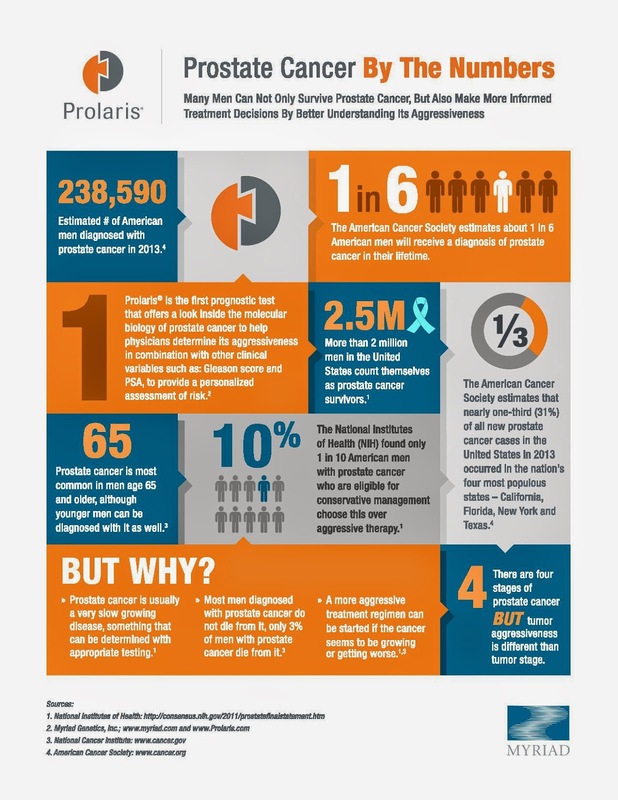 1.2 million biopsies a year lead to 240,000 prostate cancer diagnoses and 30,000 deaths. Prostate cancer is the 2nd leading cause of cancer related death in the United States. Since women tend to take the dominant role in health care and screening in their homes, we want them to be more educated about Prostate cancer and in turn, to educate their loved ones. That’s why Prolaris chose to focus on family friendly bloggers to help spread the message. Who is this targeted to? Education and knowledge is important and the best weapon we have! We want to share the knowledge with you and you spread it around! Sign up yourself and your loved one for a series of 3 emails that will arm you with the knowledge you need to know about prostate cancer. Each unique email address submitted is considered an entry and is eligible to win!